We recently had the pleasure of donating several bags of coffee and a handful of gift cards to the Isabella County Restoration House. The ICRH is a local organization that provides temporary shelter and a pathway to self-sufficiency for the homeless in Isabella County. 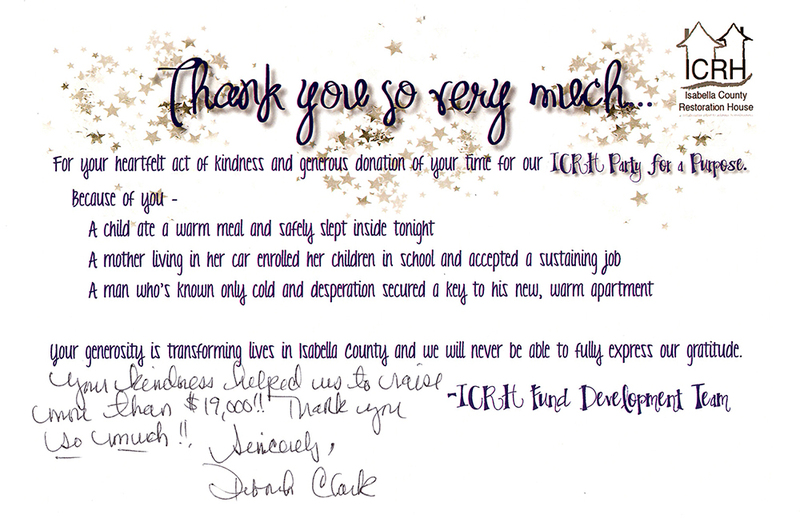 At their recent ICRH Party for a Purpose fundraiser, they were able to raise more than $19,000! Learn more about the Isabella County Restoration house and their service to the community: www.icrhouse.org.